People who have a temporomandibular disorder (TMD) are constantly thinking about actions that may seem insignificant to others. The simplest of gestures could harm the jaw of a person with TMD, leaving them feeling sore and miserable. Chewing a piece of gum, talking for long periods of time, or yawning can potentially be the cause of concern when your TMJ is already sore and inflamed. Yes, yawning, the contagious reflex that occurs when we’re bored or tired, can be very hard on the TMJ. It stretches the jaw to its limit, and can lead to pain, jaw popping, and other TMD symptoms like headaches. Here’s what you should know about yawning and your TMJ, and how best to manage your TMD symptoms when things like yawning – and life in general – gets in your way. What is a Yawn, Anyway? We all know what a yawn is: an involuntary opening of the mouth coupled with a big inhale and exhale of air. But why does it happen? Though it appears to be linked to fatigue and boredom, experts aren’t sure these are the only causes. There is some speculation that it helps cool the brain as well, which may explain why yawning happens more frequently in a hot room than in a cold one. In fact, a study published in Physiology and Behavior calls it a thermoregulatory function, which means that it helps control the temperature of the body in order to cool the brain. We also know that yawns are linked to empathy. Humans will often yawn when they see another person yawn. This is difficult – if not impossible – to avoid. A study in PLOS One found that yawns were most contagious among relatives, followed by friends, then acquaintances, and finally, complete strangers. If someone in your immediate family yawns frequently, you may be yawning quite a bit! If you have TMD, you may have noticed that your jaw pops or feels as if it comes out of its socket when you yawn. If you yawn a lot, you may also notice soreness in your jaw or face. 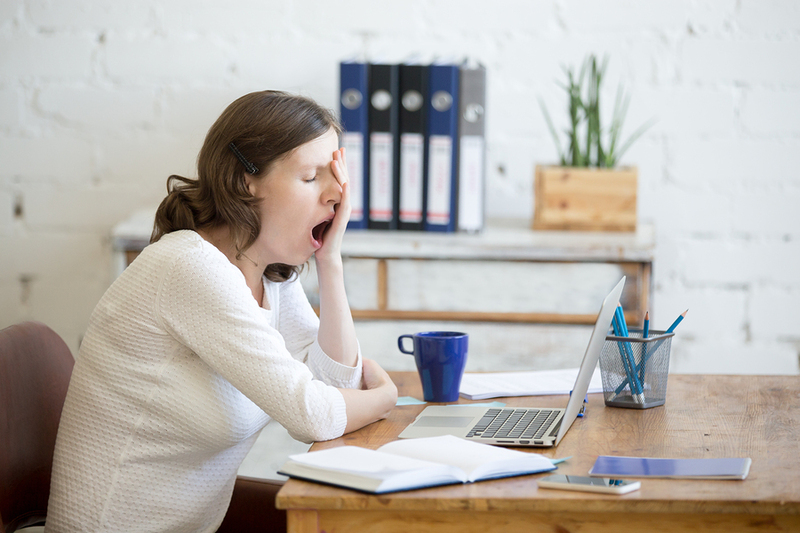 If fatigue or lack of sleep is the reason you’re yawning, all of these symptoms can be compounded. Lack of adequate rest lowers the body’s ability to cope with pain. The reason for the jaw popping and pain that accompanies a yawn is the inflamed, irritated, and often unaligned jaw joint that people with TMD have. Stretching the mouth open further stresses the joint, disturbs its alignment, and causes pain. Stifling a Yawn: Should You? Sometimes we try to stifle an inconvenient yawn, perhaps during an important meeting or conversation. If you experience TMJ pain, you may think it best to hold in your yawn. Unfortunately, this is almost impossible to do. Chances are, the yawn will come out anyway, and it may be even bigger if you attempt to stifle it. In sum, don’t try to suppress a yawn, especially if you have TMD. You could make the situation much worse! Make an appointment with a professional who can properly diagnose and treat TMD. This is the first and most important step you can take to begin healing your jaw. Then, when you do have to yawn, your jaw will be better equipped to handle it. Get stress under control. 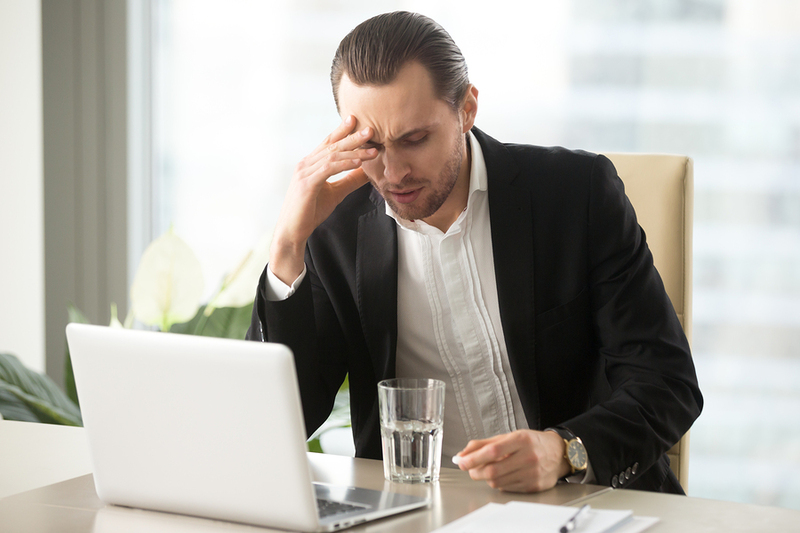 Stress can exacerbate TMD symptoms significantly. Stress can make it more difficult to deal with pain in general. It can also cause teeth grinding, known as bruxism, which causes jaw pain and irritation. Pay attention to your sleeping habits. A lack of sleep harms the body’s ability to cope with pain and stress. This can make TMD symptoms a daily battle. In addition, if you’re using an old mattress or an ill-fitting pillow, you may be sabotaging not only your sleep quality, but the alignment of your neck, jaw and back as well. Therefore, TMD symptoms will continue to plague your everyday life until you have a supportive sleeping environment and your body is getting the rest that it needs. Take a look at your diet. Cut back on your caffeine intake, as it can exacerbate stress and anxiety. Eat fruits and vegetables, but be sure you use TMD-friendly techniques, such as blending them into smoothies or cooking them. Stop chewing gum. These changes can help you avoid everyday jaw irritation that can further inflame your jaw. The causes and triggers of TMD symptoms vary from person to person. When simple movements like yawning are causing you pain, seek treatment before the problem intensifies. Usually, TMD does not go away on its own. TMD can cause dental problems and jaw joint damage that persists as time passes. Don’t ignore it! If your jaw pops when you yawn or you have other symptoms of TMD, it’s time to take charge of your health. Make an appointment with MedCenter TMJ so we can get you started on a treatment plan that will work for you. ← How Long Does TMJ Pain Last?